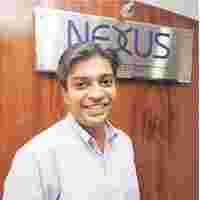 New ventures: Sandeep Singhal, co-founder, Nexus India Capital. Mumbai: Mumbai-based venture capital firm Nexus India Capital has bought out the remaining investee portfolio of eVentures India, the Rupert Murdoch-promoted venture capital firm that shut down operations in 2003. Nexus has acquired eVentures’ stake in four firms—Netmagic Solutions Pvt. Ltd, Connecturf India Pvt. Ltd, Contests2Win.com India Pvt. Ltd and online gaming website Games2Win India Pvt. Ltd. This is the first instance of a portfolio purchase in the Indian venture capital market. Sandeep Singhal, who co-founded Nexus in 2006, was also co-founder and managing director at eVentures and on the board of all four firms. The transfer was done “with the consent of the companies, which preferred to have an active investor to a capped one," said Singhal. According to him, the firm has paid the same amount originally invested by eVentures in the four companies. Nexus, which invests out of a $100 million (Rs396 crore) dedicated India corpus, had earlier bought eVentures’ stake in mobile services company Mobile2Win India Pvt. Ltd in 2006. EVentures was an early investor in Contests2win, which later spun out businesses such as Mobile2Win and Games2Win. It had plans to invest close to $150 million in mostly Internet companies, but slowed down drastically in the days following the dot-com bust of 2001-02, before eventually shutting down in 2003. Its portfolio, at the time, consisted of 14 companies, totalling an investment of $43 million. Six of the 14 were either shut down or the stake sold back to the promoters, including online community portal Chaitime.com and IT services company NetAcross OLS. Seven companies remained in its portfolio, of which it has exited three—BPO firm CustomerAsset.com, acquired by ICICI OneSource, Integma Holdings acquired by Emptoris, Inc. and outsourced e-learning company Mentorix Technologies Inc. acquired by Lionbridge Technologies Inc. In the case of online travel agency Makemytrip.com, Singhal personally bought the firm’s stake, which he later sold to a subsequent investor, Softbank Asia Infrastructure Fund Partners.